Men and women who are obese as adolescents are at an increased risk for pancreatic cancer in adulthood. HealthDay News — Men and women who are obese as adolescents are at an increased risk for pancreatic cancer in adulthood, according to an study published online Nov. 12 in Cancer. Zohor Levi, M.D., from the Rabin Medical Center in Petach Tikva, Israel, and colleagues examined the association between body mass index (BMI) in late adolescence and the incidence of pancreatic cancer during adulthood using data from 1,087,358 Israeli Jewish men and 707,212 Jewish women who underwent a compulsory physical examination between ages 16 and 19 years (from 1967 to 2002). The incidence of pancreatic cancer was determined through 2012 by linkage to the national cancer registry. The researchers found that during a median 23 years of follow-up, there were 551 incident cases of pancreatic cancer (423 men, 128 women). Obesity (≥95th percentile) was associated with an increased risk for cancer among both men (hazard ratio [HR], 3.67) and women (HR, 4.07) compared with normal weight (5th to <85th percentile). In men, high-normal BMI (≥75th to <85th percentile) and overweight (85th to 95th percentile) were associated with a higher risk for cancer (high-normal BMI: HR, 1.49; overweight: HR, 1.97) compared with low-normal BMI (≥5th to <25th percentile). 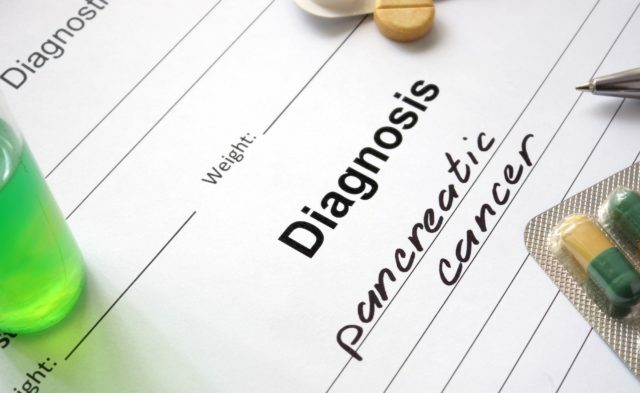 The estimated population-attributable fraction of pancreatic cancer risk due to overweight and obesity was 10.9 percent. “Our data suggest that adolescent obesity is associated with up to a four-fold increased risk for pancreatic cancer,” the authors write.